Are you looking for something festive to do? 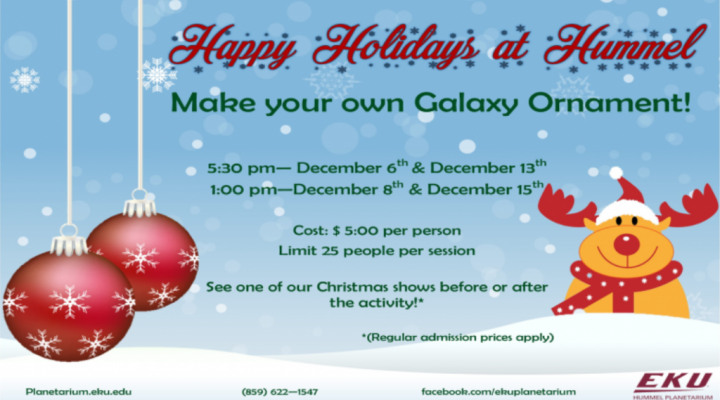 Create your own galaxy ornament to cherish! Cost is $5 per person. Each session will be limited to 25 people.